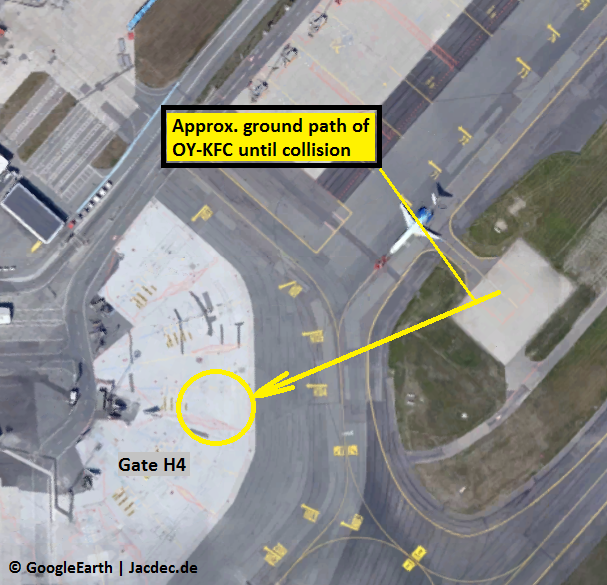 During ground engine test, the aircraft collided with a baggage truck causing major damage. One person was taken to hospital. The aircraft was undergoing ground engine run-ups on a test pad near Hangar 4 (pos E60) when the aircraft suddeny ran foreward and gaining speed. On its way across the tarmac the left wing and left maingear of the Regional Jet struck a baggage cart. The impact forces ejected its driver leaving him seriously injuried. As a result of the collison the left maingear was forced backwards causing it to collapse rearwards. The left wing dropped and struck the ground spinning the aircraft around until it came to a stop after a 360-degree pirouette. 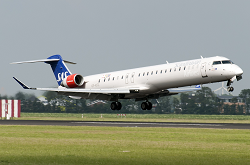 The aircraft carried only three ground engineers at the time of the incident. 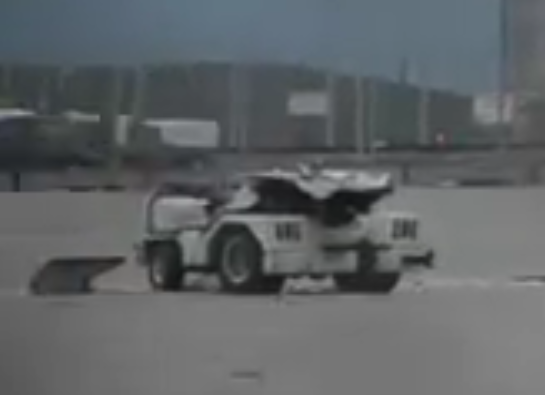 The roof of the baggage cart crumpled under the weight of the wing. 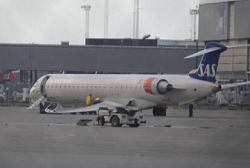 The incident is under investigation by danish authorities. Any additions or corrections ? All written and shown content on JACDEC.de is provided in the most accurate way. All information may be subject to changes because JACDEC.de cannot always ensure a full support of information updates to each news story. No publication (or part of) provided by at JACDEC.de may be reproduced or transmitted in any form or by any means or by any information retrieval system without written permission from JACDEC. The below information includes unofficial information and should be treated as this. Editors cannot be held responsible for any errors or omissions caused by any information source mentioned herein. The nature of the following information should be regarded as preliminary. Furthermore, the author cannot be held accountable for correctness, completeness or quality of the information provided herein. Liability claims regarding damage caused by the use of any information provided, including any kind of information which is incomplete or incorrect,will therefore be rejected.